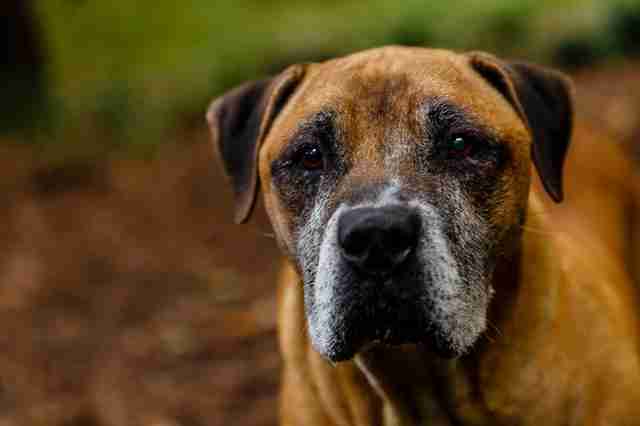 “He’s gentle and loving, and he bestows a special loyalty on the people who take care of him,” McKelvey, shelter manager at PAWS Atlanta in Georgia, told The Dodo. 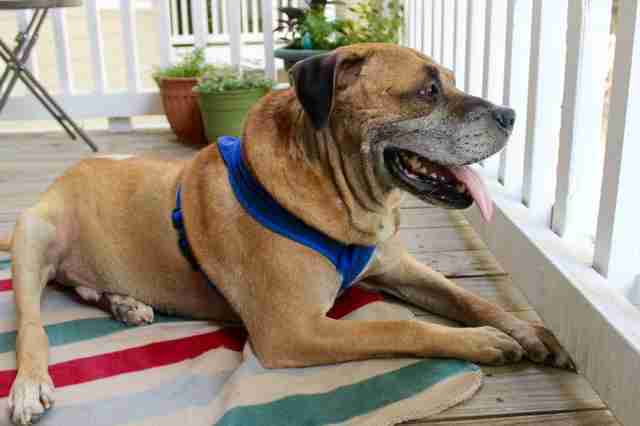 But for some reason, the 9-year-old mastiff can’t find a home — and he’s been looking for the past two and a half years. In early 2016, Henry was picked up as a stray and taken to DeKalb County Animal Services. 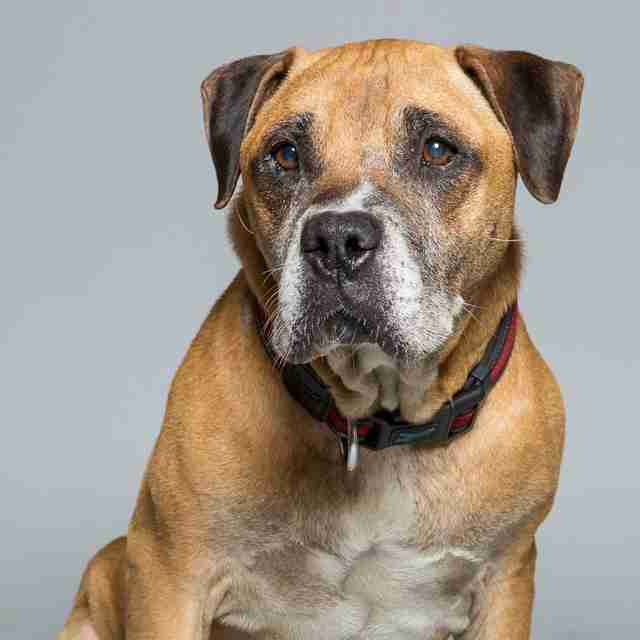 Then the team at PAWS Atlanta pulled him from the shelter, along with two other senior dogs, Jitterbug and Harvey. “We did expect it to be challenging because older dogs take longer to get adopted … but we thought maybe [it would only take Henry] several months because he is so well-behaved and very mellow and calm, and I thought his personality was really what a lot of people were looking for,” McKelvey said. Jitterbug, who was 7 years old at the time, and Harvey, who was 9, got adopted straight away — but for some reason, Henry did not. 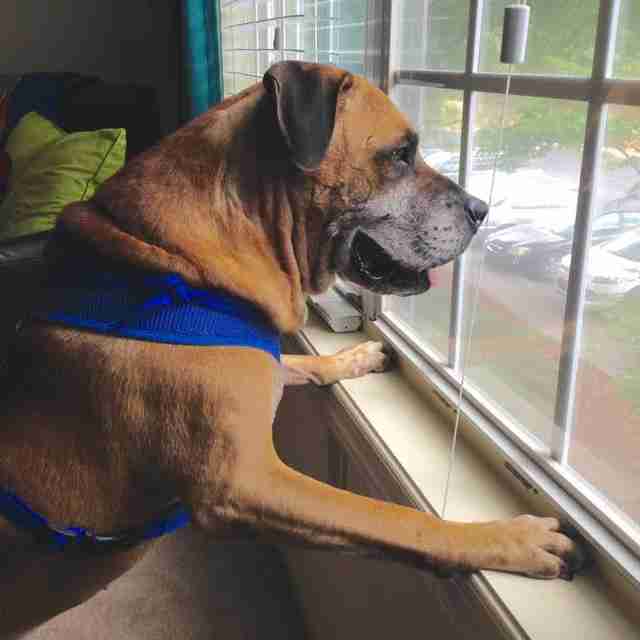 The team at PAWS Atlanta didn’t despair — they took him to adoption events and to the kids’ summer camp the group has each year. But then Henry started getting depressed and tired. His belly also got a little swollen, which made everyone concerned. “He started not wanting to go on walks or move or do anything,” McKelvey said. When a vet ran some tests, she discovered that Henry had Cushing’s disease, an ailment that causes lethargy, hair loss and a bulging stomach. The vet immediately put Henry on special medication, which he responded to right away. But there was still a big problem — Henry didn’t have a home, and the team worried that his disease would make it even more challenging for him to find a family. 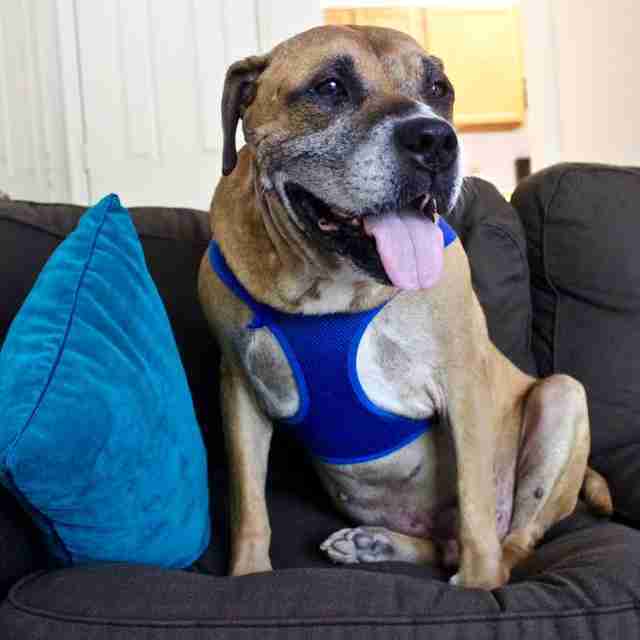 Henry actually has a foster mom right now — but she travels a lot, and Henry goes back to the shelter while she’s away. 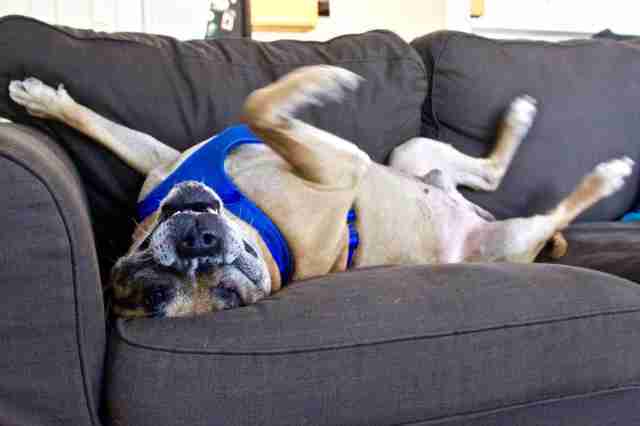 Henry would be suited to a calm home environment with no children or other dogs, McKelvey explained. He also doesn’t need a lot of exercise, so he’d be fine with someone who works long hours. McKelvey said she’d be “incredibly happy” if Henry were adopted, even though she’d miss him a lot. But she knows a forever home is the best thing for him. 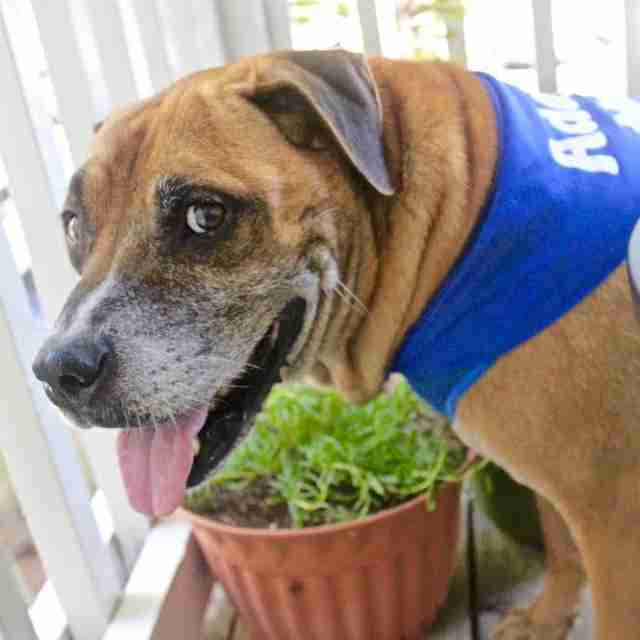 If you’re interested in adopting Henry, you can contact PAWS Atlanta.